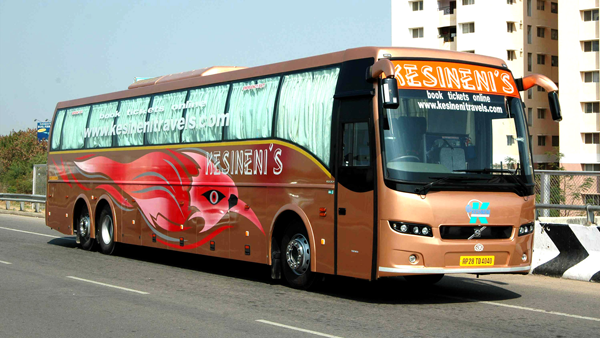 Kesineni Travels is well-connected to over 75 destinations in 6 states across South India. Our travel service is designed for your safety, luxury and comfort. Our wide network for travel services has a fleet of buses running about 425 schedules to take you to your destinations on time. Experience and legacy you can trust. The enterprise, has grown to become the largest provider of intercity bus transportation in South India, covering the states of Telangana, Goa, Andhra Pradesh, Karnataka, Maharashtra and Tamil Nadu. We’re the first in India to introduce a web based ticketing and fully online reservation system in 2007.